Low and high speed settings that work at 3400 RPM and 6000 RPM correspondingly give you a chance to choose proper options to massage delicate areas or tight muscles. Noisy operation at the highest speed. 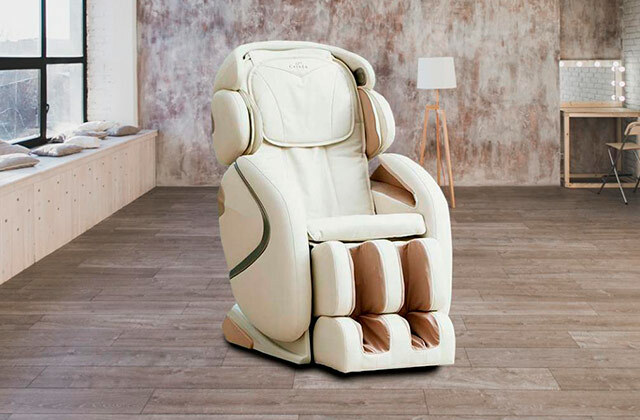 The Reviber Zen Physio MB-30A is a professional model that will find its place in a massage salon as well as in your home. 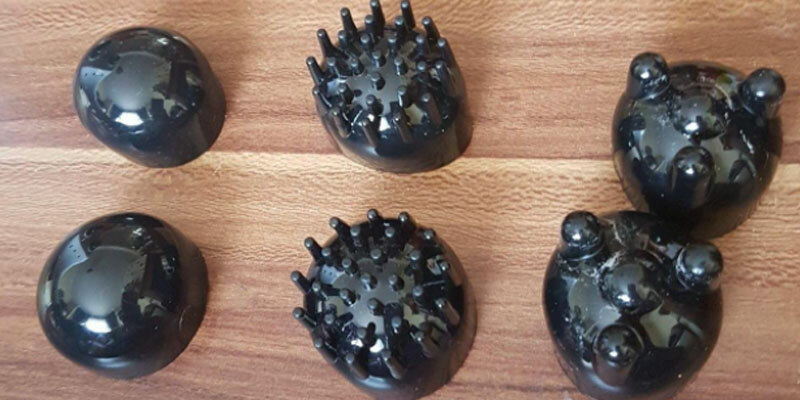 Choose this device with soft rubber heads for painless and pleasant massage wherever you need it. 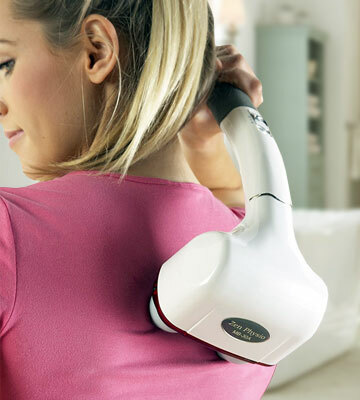 3.5-metre power cord gives you the freedom of movement while using the massager. The long handle allows you to massage lower back, legs, and feet effortlessly. The item is somewhat heavy. If you're looking for a powerful and convenient body massager to make relaxing as well as deep tissue massage in the comfort of your home, this model from Viktor Jurgen is created for you. Thanks to elaborate design of interchangeable attachments, even inexperienced users can change them without hassle. It's possible to turn heat option during massage. Some users might find heat option not hot enough. In addition to great functionality, this massager is distinguished by its stylish design and ease of use. It provides users with a convenient way of speed control; you will only need to scroll a small wheel. A great massager that doesn't cost an arm and a leg but provides all the needed functions for a user's comfort. Rotating massage head gives you a chance to reach any part of your body with the maximum convenience. Massage head and IR heat option can't be used together. Whether you want to relieve muscle tension after intensive workouts in a gym or relax after a working day, the Beurer MG40 will help you. With adjustable massage heads and speed settings, you'll get massage to suit your very needs. 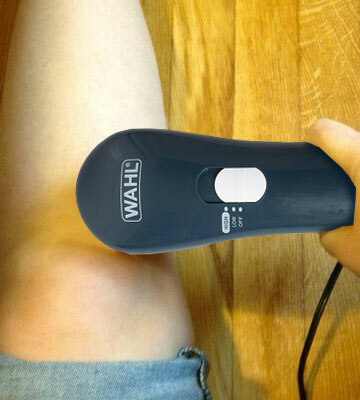 The Wahl Spot Therapy massager is a cordless model and it means you can take it with you on your trips. Thanks to its compact size, it will fit your handbag snugly. Some users wish the vibration levels were stronger. 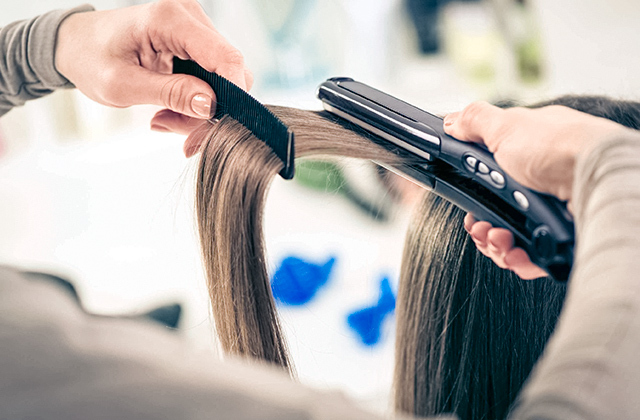 Compact size, lightweight design, and battery-powered operation make the Wahl device a perfect portable massager. Choose this model and you'll be able to enjoy full-body massage even on-the-go. The Reviber Zen Physio Massager is created for those who want to get salon-quality massage in the comfort of their homes. The massager is considered to be a professional model and is often used in massage salons by qualified therapists. But thanks to the ease of use and ergonomic design, it's totally suitable for at-home use. 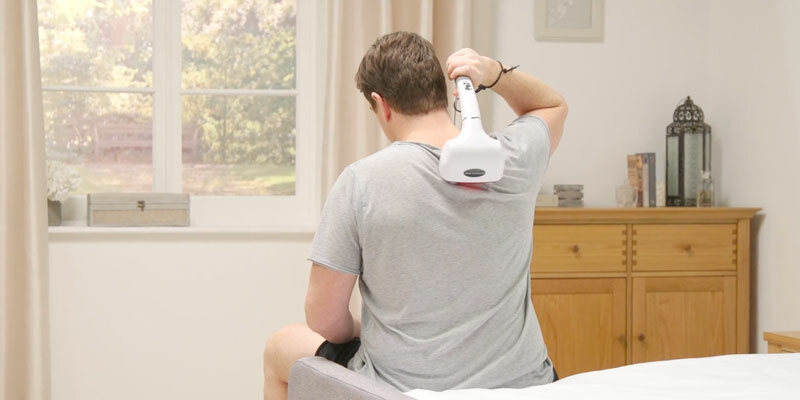 Whether you need to revive tired neck/shoulder muscles, relieve pain in your back/feet/arms, or just relax after a working day, the Reviber electric body massager will come in handy. It can handle different muscle groups due to two interchangeable headsets aimed at massaging small and large muscle groups. Pay attention to the material of the headsets, too. They are made of soft rubber and don’t cause bruises or unpleasant feelings. The beauty of this massager is that it can be used on any skin type. It has become possible due to two speeds that are changed effortlessly with a slider on the handle. And if you have sensitive skin, you’ll definitely be pleased with the fact that the Reviber device works perfectly on bare skin as well as over clothing. A great number of modern electric massagers feature percussive massage action, and the Reviber Zen Physio isn’t an exception. Why would you like to choose a percussive device over other massagers? Well, it really works wonders thanks to vibrations that penetrate deep inside muscle tissues improving blood circulation and saturating muscles with oxygen, thus, alleviating pain and soreness from the first minutes of a massage session. 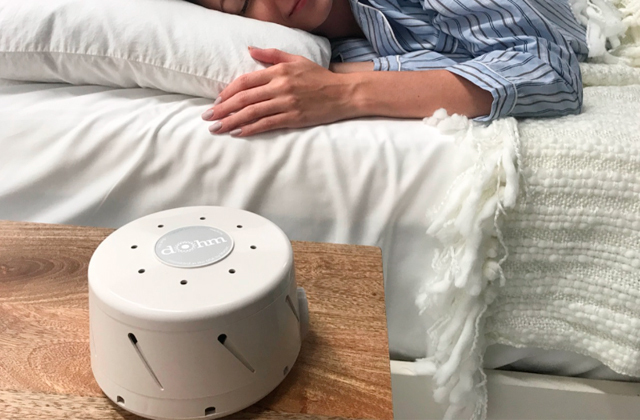 And if you use your massager on a regular basis, you’ll soon notice improvements in your overall health including better sleep, stronger immune system, healthier skin, and normalized blood pressure. No matter where you use the Reviber body massager, in a professional massage salon or at home, you’ll appreciate its usability. The item is equipped with a 3-metre power cord that gives you a freedom of movement allowing for convenient use far from a socket, on your sofa or in an armchair. It’s also easy to massage your body since you don’t have to apply pressure – the device is powerful enough to provide the necessary force to relax your muscles. Wrist strap and non-slip foam handle also add to the usability of the massager and ensure a user's comfortable grip during the whole massage session. Being on a health market for more than 20 years, Viktor Jurgen knows what you need to feel healthy without visiting doctors often and spending a lot of money on expensive procedures. 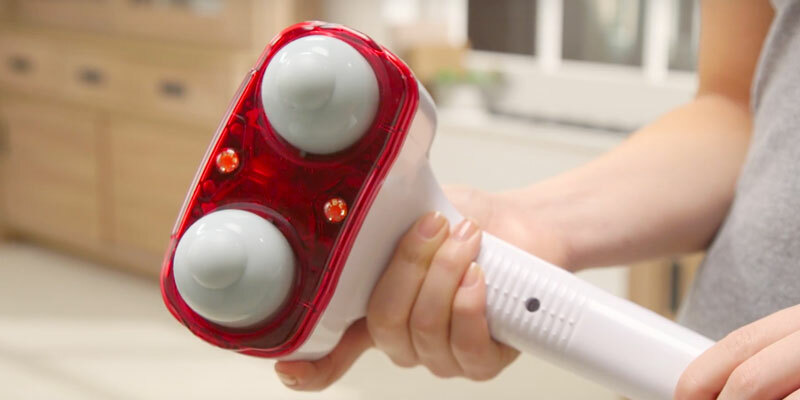 Taking care of your overall well-being on a regular basis is enough, and with this massager at hand, you’ll be able to do it effortlessly right at your home. The device applies repetitive percussion action that provides deep penetration into muscle tissues and allows for pain alleviation, knots, spasms, and trigger point release in the shortest time possible. The massager has the powerful motor that works at the maximum of 3350 pulses per minute, but if you don’t need an intensive massage, you can customize speed settings the way you want. Designed with the usability in mind, the Victor Jurgen handheld massager features an ergonomic handle with a non-slip grip and intuitively understandable controls. An on/off button and a speed slider on the handle are right at your fingertips so you can control the work of the massager effortlessly. It’s recommended to use the massager from 10-15 to 30 minutes a day. O-shaped massage head is a perfect choice for treating sore muscles such as bones and joints. It’s also great for Swedish massage. Shiatsu massage head has three teeth and should be used for deep tissue massage on waist, back, leg, and thigh areas. It is also suitable for sports massage. Acupuncture attachment has a lot of teeth, and you want to use it to relieve local muscle tension. 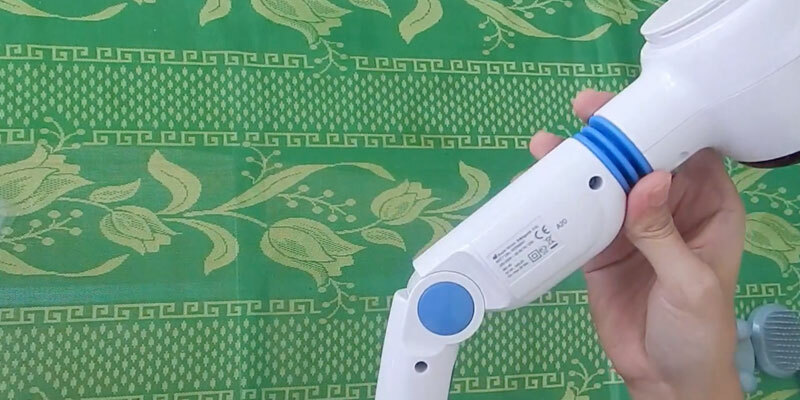 When you look at this Naipo handheld massager, what is the first thing that you notice about it? We bet, it is its modern and streamlined design that looks quite hi-tech, especially compared to the majority of massagers on the market. However, design isn't the only thing about this massager that makes it attractive. 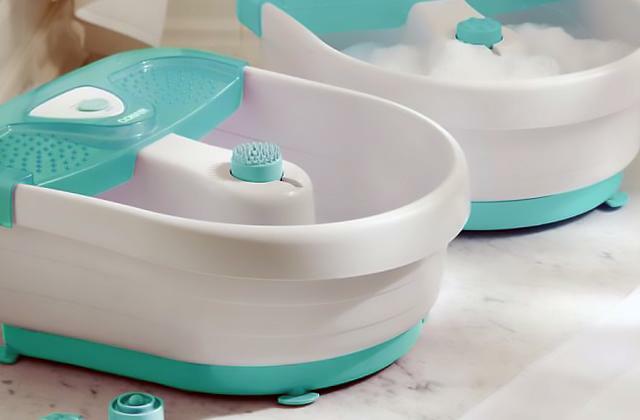 Knowing that customers rarely make buying decisions based only on the product's nice design, the manufacturer integrated a good share of features to ensure that you get a massager that not only looks nice but also has a decent performance to offer. Equipped with a powerful motor, capable of reaching 3800 RPM, this massager can provide you with very deep and relaxing tissue massage. Depending on your needs, you can further adjust its speed choosing from two speed settings. The low speed works best for relaxing massage and is suited for delicate body areas and sensitive skin. The high speed helps relieve tense muscles and knots. 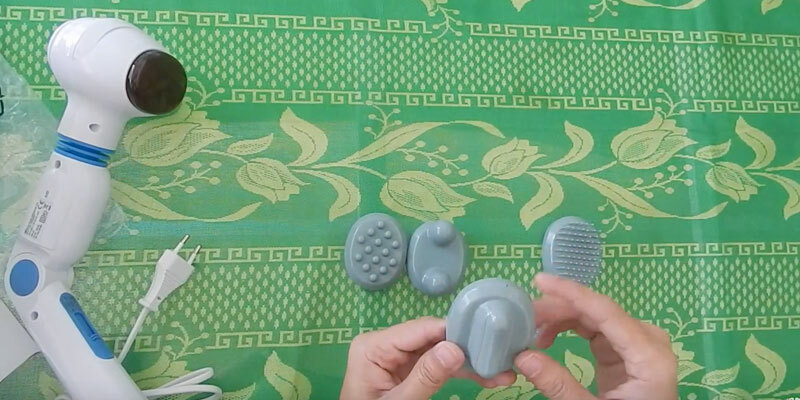 While the option to customize massage technique by installing one of the three interchangeable nodes included allows enhancing the effect. 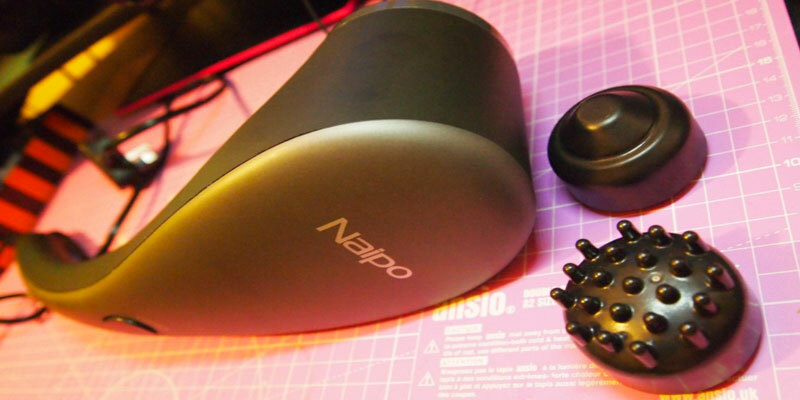 An outstanding feature of the Naipo massager is a heat option. It’s a well-known fact that heat has a number of beneficial effects on human health, and pain elimination is one of them. Heat therapy, known for its positive effect on blood circulation overall, often helps soothe muscle tension and remove muscle knots. However, if you don't need it, you can simply turn it off. The heat is an optional function which you can use or not, depending on your needs or even mood. 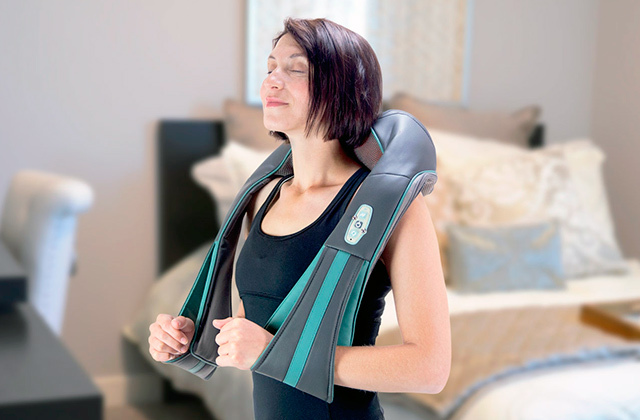 Although operating a body massager is an intuitive and straightforward process, it’s important to follow simple steps in order not to cause its malfunction. Don’t forget to return the slider to initial position before unplugging the massager. 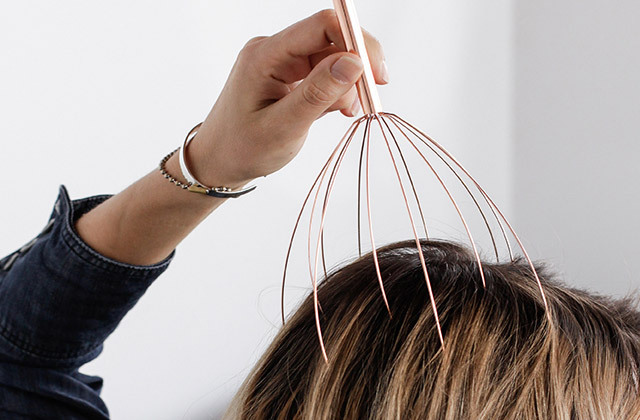 Brush head imitates acupuncture massage and is perfect to use if you want to prevent muscle spasms, alleviate back pain, and reduce the possibility of stress or depression. Along with the option to use different head attachments, you can also adjust the desired massage intensity choosing one of the three levels with a slider control. 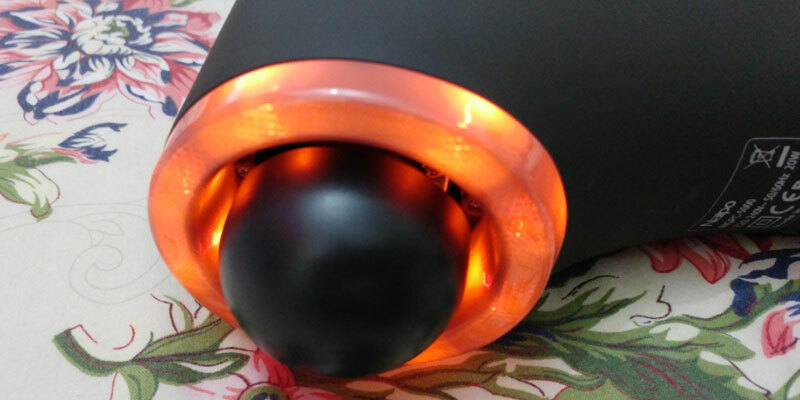 The manufacturer has also made it possible for users to use an infrared heat option; however, keep note it cannot be used together with a massage head. Although many of you may think a body massager is a maintenance-free device, it’s not quite the case. Even if you use it with care, you will still need to clean it off dirt that may eventually appear on its surface. And if you use massage oils with the device, cleaning it after every session is a must. 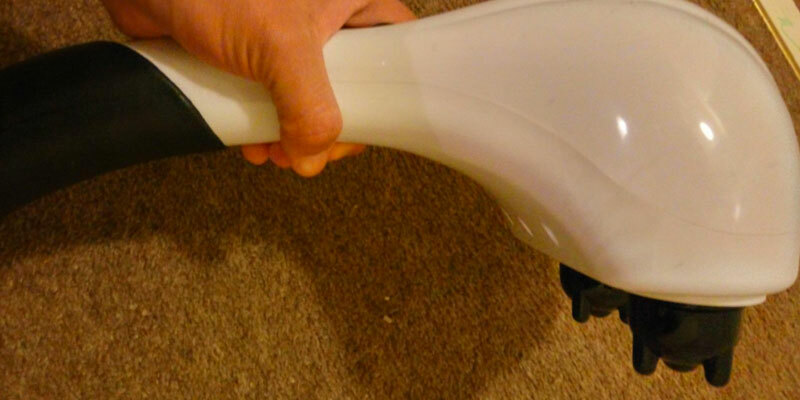 It’s recommended to wipe the handle and the body of the massager with a soft damp cloth. As for head attachments, you can wash them in warm soapy water. Don’t forget to dry all the parts completely before the next use. Some people may struggle to massage their own feet or back; one of the problems is to take a proper and comfortable position, and the other one is to be able to reach to the trigger points. With the Beurer massager that comes equipped with a 3-way adjustable handle you will be able to make self-massage effortlessly and comfortably. Besides a convenient and fully functional handle, the massager has a rotating head, which can get even to hard-to-reach body areas easily and quickly. If you can’t do without a relaxing massage even on vacations and business trips, buying the Wahl Spot Therapy model will prove useful. 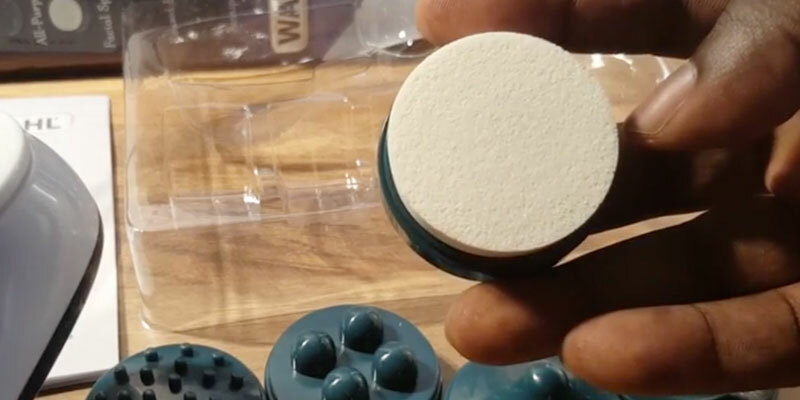 This portable hand massager is perfect for trips, and for many good reasons. For starters, it is extremely lightweight. As opposed to many electric devices the weight of which sometimes reaches a couple of kilos, this one weighs only 180 grams, which sounds almost nothing. At second, it offers autonomous operation. The massage runs on 2 AA batteries which you can get easily from any store even being away from your hometown. Please note batteries aren't included and you will need to buy them separately. 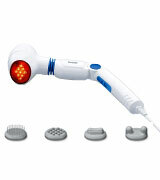 The Wahl Spot Therapy massager comes with five heat attachments and can be operated at high and low speed settings. 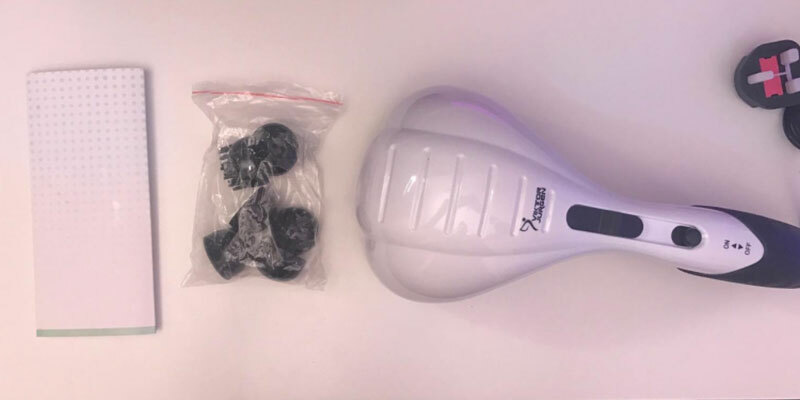 Some users wish the high settings were more powerful but given that this massager isn't a corded model and it runs only on batteries, its performance isn't bad at all. 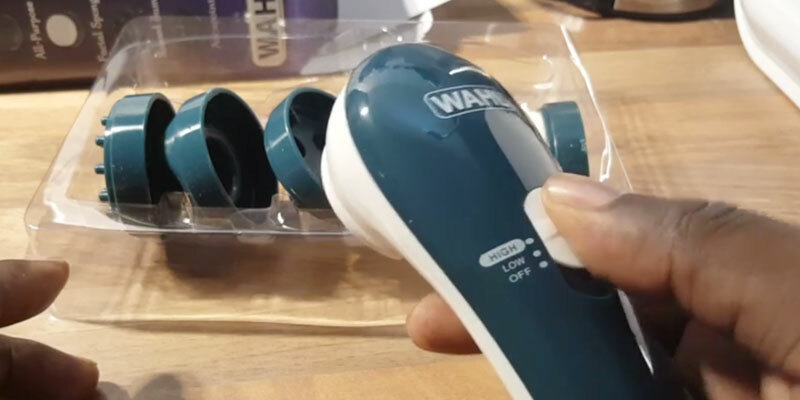 What we liked about the Wahl Spot Therapy device is that it’s a full body massager that can be used on chest, abdomen, thighs, calves, shoulders, arms, back, waist, and even delicate facial areas. It has become possible due to 5 interchangeable attachments that extend its functionality greatly. With accupoint, deep muscle, facial, general body, and raised bump headsets at hand, you’ll be able to choose the one to treat the body area you need. Don’t hesitate to buy this universal model from Wahl and let your body be always young and healthy. We have already mentioned that body massage has a lot of health benefits. It can alleviate pain, revive stiff muscles, and improve blood circulation for better well-being. Besides, regular massage can positively influence your mood and prevent depressions. Applying this massager for around 15 minutes a day on a regular basis will help you stay not only healthy and also energised and refreshed. From ancient times, massage has been one of the most effective methods to prevent and treat different illnesses. Systematic massage procedures are recommended to everyone, regardless of their age, gender, and profession. But in the strain of a modern life, it is often difficult to visit a professional massage therapist due to the lack of time or high prices of this service. And now there is a decent substitution - a personal body massager that allows you to enjoy a session of massage whenever you wish. It will not only help you unwind after a long working day but will also help relax flex, stiff muscles and improve blood circulation while becoming a good prophylaxis for many health disorders. Just apply a massager to aching body parts and eventually, feel a relief! If you walk a lot during a day we recommend you to consider using a foot massager for relieving pain in your feet. While for all active computer users and office workers spending lots of time in front of their PC screens, we'd advise to check out our neck massagers reviews. 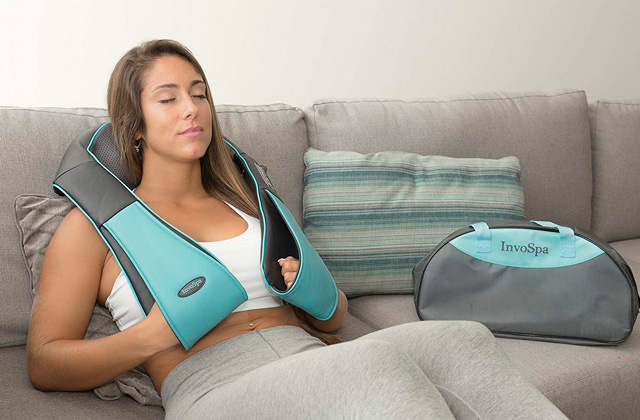 Today, a variety of personal body massagers are available on the market, from a massage mat and handheld massager to a pillow massager, scarf massager, and many others. 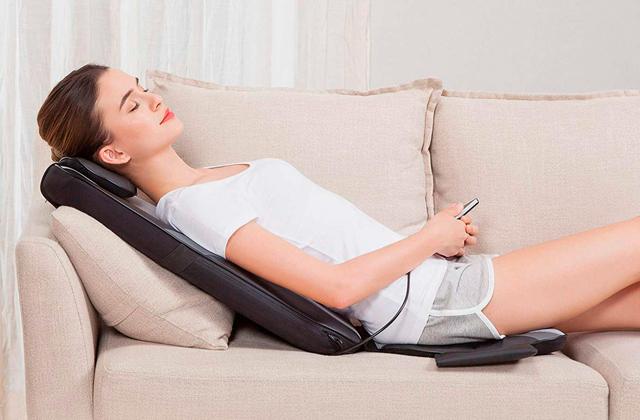 Having massage mats, you can enjoy the maximum relaxation both when lying and sitting. Pillow-shaped massagers will squeeze your body when you lie on a couch, sit in an armchair or even in a car seat during a long drive. Handheld body massagers allow you to massage most parts of your body and you can control the pressure during use. However, you will have to hold the unit in hand during the whole massage procedure. Hence, the handle design and its actual weight are rather important. Handheld massagers are very convenient to use in a sitting position. 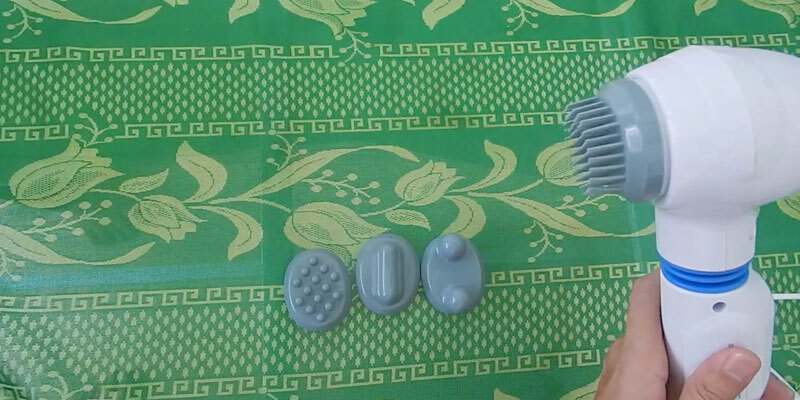 Depending on their shape, body massagers include different massaging elements: rollers, vibrating motors, removable, and non-removable attachments (also called heads). The more accessories a massager has, the more efficient and versatile your massage will be. Most modern body massagers can massage you from toe to crown. Some models are rather limited in massage capabilities. Look for a model with the right functions to suit your problem body areas. There are a variety of massage techniques available too: Shiatsu massage, vibrating massage, warming massage, acupressure, thumping massage, etc. The Shiatsu massage is a licensed technique that simulates finger and palm movements of a professional therapist; this type of massage brings you relaxation and quickly brushes off fatigue as well as removes pain in your sore muscles. The vibrating massage will improve blood circulation and relax stiff muscles. The warming massage is especially useful for active athletes as it improves muscular flexibility, increases blood circulation, and promotes fast recovery after strains and injuries. And acupressure is a type of therapeutical massage, efficiently eliminating the tension and tiredness by means of stimulation of certain body points. 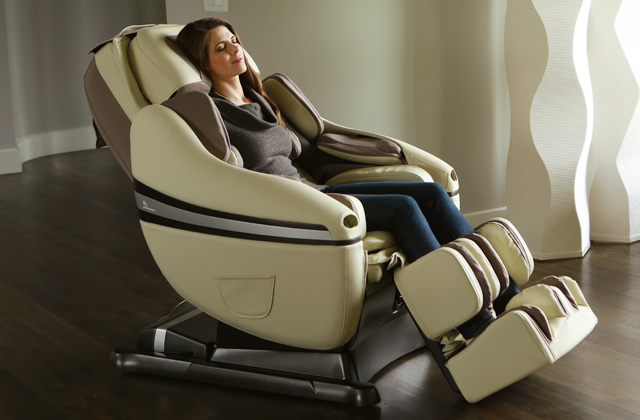 For your ultimate relaxation, most body massagers offer various functions. 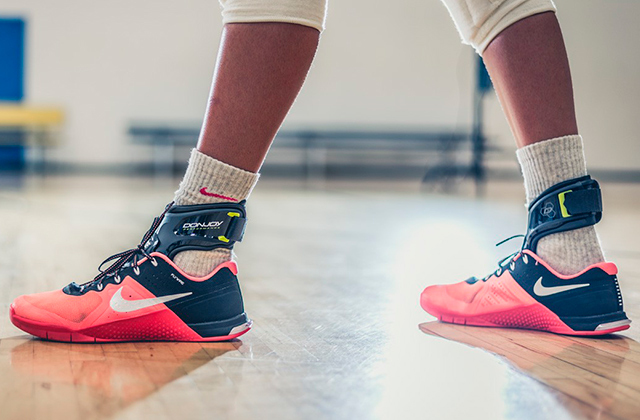 An adjustable intensity option will help you select the optimal intensity: from soft and delicate to deep and intense for different body areas. The heat on/off control allows you to pick the best combination for a comfortable and efficient massage. The auto shut-off function adds to your comfort when you use your electric body massager lying on a couch. You may safely relax and even fall asleep. 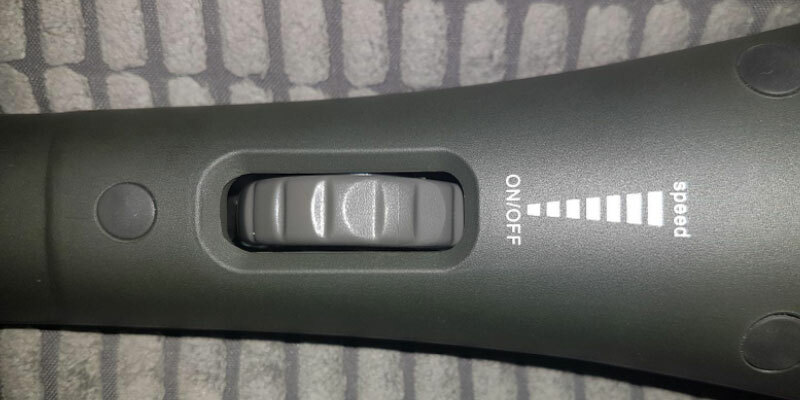 Your massager will automatically switch off. With the help of a car adapter, you can enjoy a relaxing massage both at home and while driving. A long cord is convenient if the mains is far from your bed or armchair. And a lightweight design will become a real benefit for convenient storage and transportation. Consider our recommendations and you will easily choose the most suitable model to enjoy a relaxing massage whenever you want! Q: Can I use massage oils with my body massager? A: Taking into account the fact that the purpose of both body massagers and massage oils is the same – they are created to provide muscle relaxation and give you pleasant feelings – using them together seems to be a sensible decision. Oil can maximize the relaxing effect of massage if you use the massager over bare skin. However, keep in mind that not all manufacturers design their devices to be used with oils, so it’s important to clarify this information in advance. Q: Is it easy to use a body massager on your own, in particular, to massage lower and upper back? A: The manufacturers of body massagers do their best to provide great usability of their devices and ensure ease of use for customers. For this purpose, massagers usually feature a long ergonomic handle and non-slip grip so that you could treat even hard-to-reach body areas with the maximum convenience. 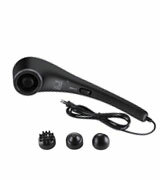 Some models of body massagers can also boast swivel massage head to provide effortless self-massage. The only thing that can really complicate the use of a body massager is its weight. So if you are looking for a device for an elderly person, it’s crucial to pay attention to this feature. Q: Do all body massagers have heat option? Is it always on or I can turn it on/off when I want? Is it better to choose a device with or without a heat option? A: Not all manufacturers equip their massagers with heat function, and if they do, more often than not, it is optional. Depending on your needs, you can turn it on/off when you want. As for choosing a device with or without a heat option, it’s a matter of personal preferences. 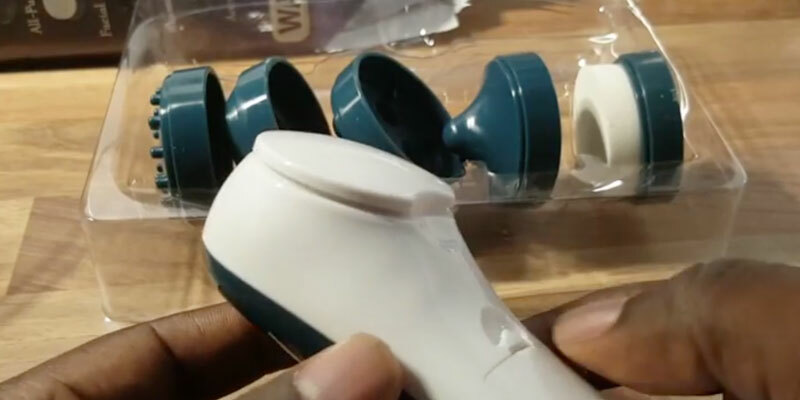 Certainly, this feature adds to the functionality of a body massager. Yet, it’s not its main advantage but should be considered as a pleasant bonus. Q: Can body massager be used over a face? A: Electric massagers are quite powerful devices, so the manufacturers don’t advise to use them over a face since even the lowest intensity might cause painful feelings. If you’re looking for a universal model that will be suitable for body and face areas, we recommend you to consider not very powerful devices, for example, battery-operated models. Also, pay attention to the package of a model you’re going to buy – if it has a face attachment, it obviously can be used for face massage. Q: Heat option doesn’t seem hot, it’s barely warm. Is it OK? A: Yes, it is. The aim of heat option is not to burn your skin but to provide soothing warmth for better muscle relaxation. That’s why when you turn heat option on, you can feel the temperature of approximately 38°- 42°C that is enough to enhance the therapeutic effect. 2. Katharine Watts 6 Surprising Health Benefits of Massage Therapy, Best Health. 3. Caitlin Probst Top 10 Facts About the Muscular System, Degreed. April 29, 2015. 4. Melanie Pinola What's the Difference Between All These Types of Massages, Lifehacker. February 13, 2014. 5. Muscle, Wikipedia. August 6, 2016. 6. Percussion, IvyRoses. August 19, 2016. 7. Jeremy Du Vall 5 Massage Therapy Methods (and How to Make Them Last), Daily Burn. July 29, 2014. 8. Massage Therapy Styles and Health Benefits, WebMD.